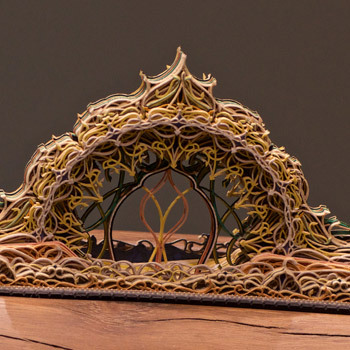 Southwestern Virginia-based artist Eric Standley brings a fresh perspective to the term “cutting edge” with his evocative works created entirely from laser-cut paper, inspired by Islamic and gothic architectural ornamentation. Standley stacks over 200 sheets for many of his pieces, which involve months of planning, drawing, and assembly. 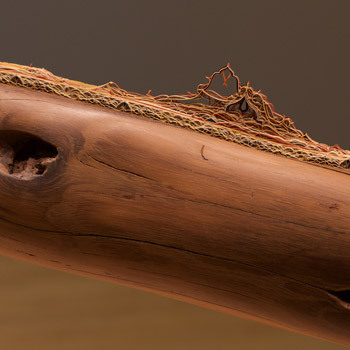 Each work created by the artist grows increasingly complex and intricate. 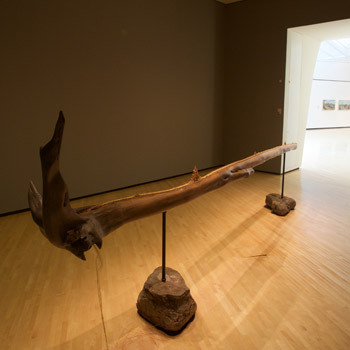 The artist says his inspiration comes from a strong attraction to paradoxes and the infinite, working through visual geometry which he somewhat jokingly calls “folk math.” For his presentation at the Taubman Museum of Art, Standley will present Daphne, a new site-specific installation incorporating cut paper and reclaimed wood from Virginia. 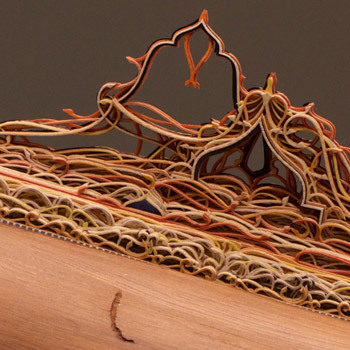 Standley’s work has been in numerous exhibitions worldwide including the CODA Paper Art Biennial in the Netherlands and most recently a solo exhibition at the Museum of Contemporary Art in Virginia Beach. Eric Standley is an Associate Professor of Studio Art and Foundations of Art and Design Coordinator for the School of Visual Arts at Virginia Tech. He is represented by Victori + Mo in New York City, Marta Hewett Gallery in Cincinnati, and Koji Miyajima of Mediaforce, Japan. More information can be found on Standley’s website: http://www.eric-standley.com. 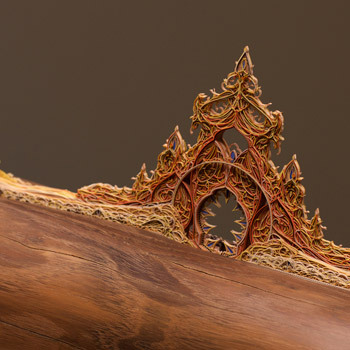 Daphne: An Installation by Eric Standley is curated by Amy G. Moorefield, Deputy Director of Exhibitions and Collections at the Taubman Museum of Art and will be on view from April 23 through November 6, 2016 in the David R. and Susan S. Goode Gallery.